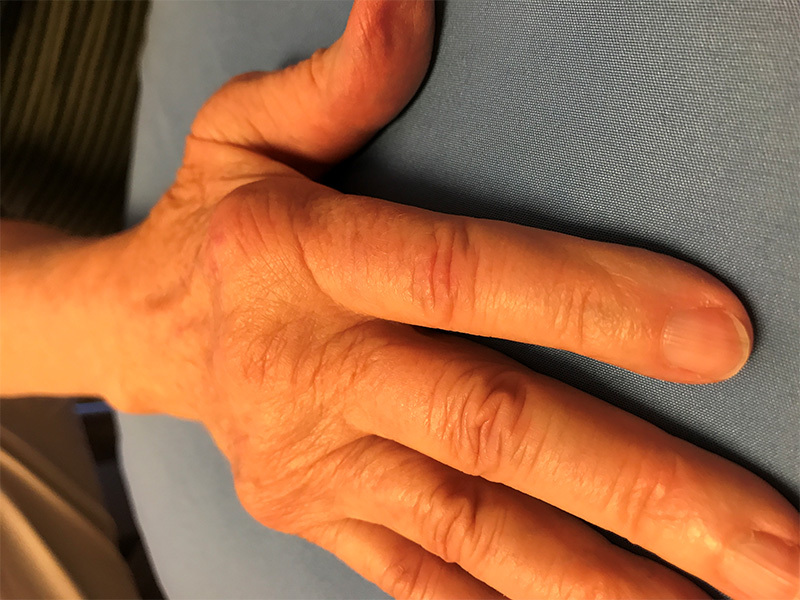 90% of swelling is gone after treatments, however, the swelling will continue to be reduced as blood flow has been restored. 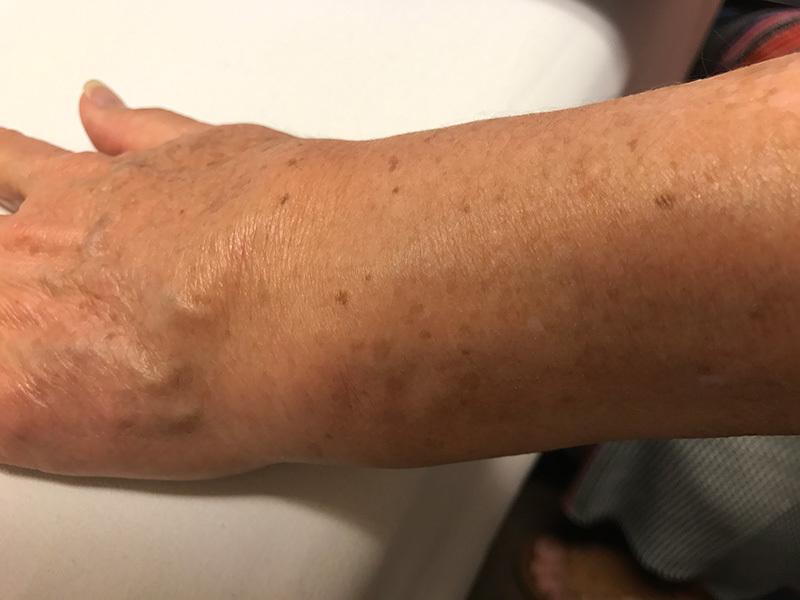 Patient was delighted with results and able to use that wrist and mobility of hand was restored! 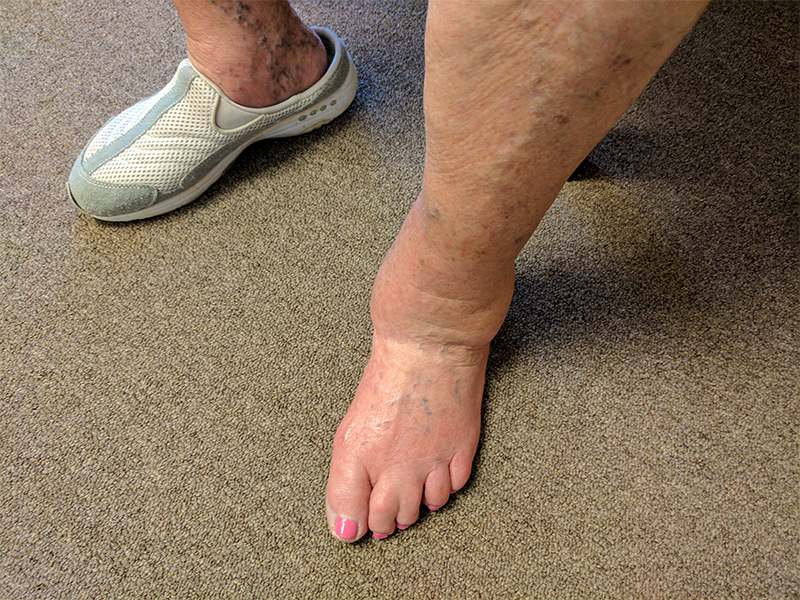 This patients badly swollen left ankle is the result of Type 2 Diabetes. 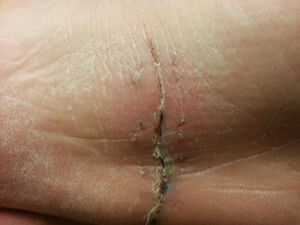 There is redness in her toes and her skin is in poor condition as very little circulation is returned to the heart. 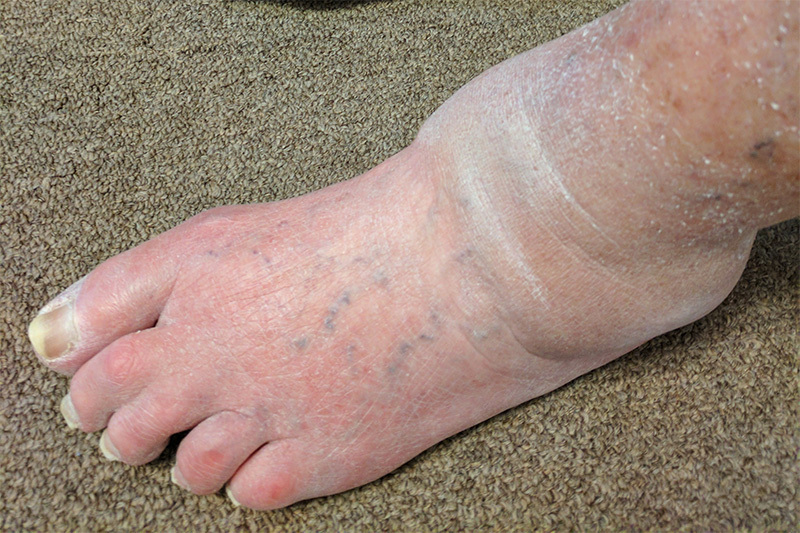 With laser treatment condition of the ankle and foot are greatly improved. Barry has gotten 80% of my feeling back in my knee and leg following my knee replacement that I required after taking a bullet. I have virtually no pain now. Cannot wait to start this campaign to help other local veterans as well! "Since having Healing Laser Therapy, my quality of life has improved. I am sleeping better, taking less pain medication, and overall feeling happier. The Laser Healing Therapy staff are compassionate and knowledgeable." It's been more than a year since I limped into your office in some pretty bad pain. 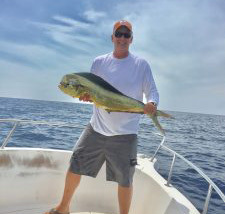 Now I'm offshore catching Mahi with no knee pain!! Really want to take a minute and say thank you to you and your laser for all your help, you greatly improved my quality of life. I tell everyone that will listen about the amazing treatment that you provide. “As a retired Army Colonel, marching in stiff combat boots in Vietnam, serving as a military police officer and West Point Honor Guard, hip, back and feet problems were inevitable. Years after having my hip replaced, pain was still a daily event. Not wanting more surgery or taking pain medications, I tried Laser Healing Therapy and was surprised at the results. After two laser treatments on the hip, my pain levels went down from a daily 9 out of 10 to a tolerable 4, which has made it easier for me to walk, sit and sleep more comfortably without medication. 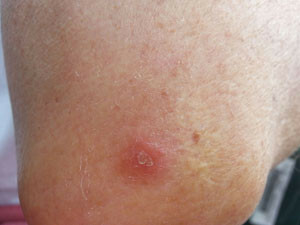 As an African American, surgery can leave a darkened scar called a keloid. 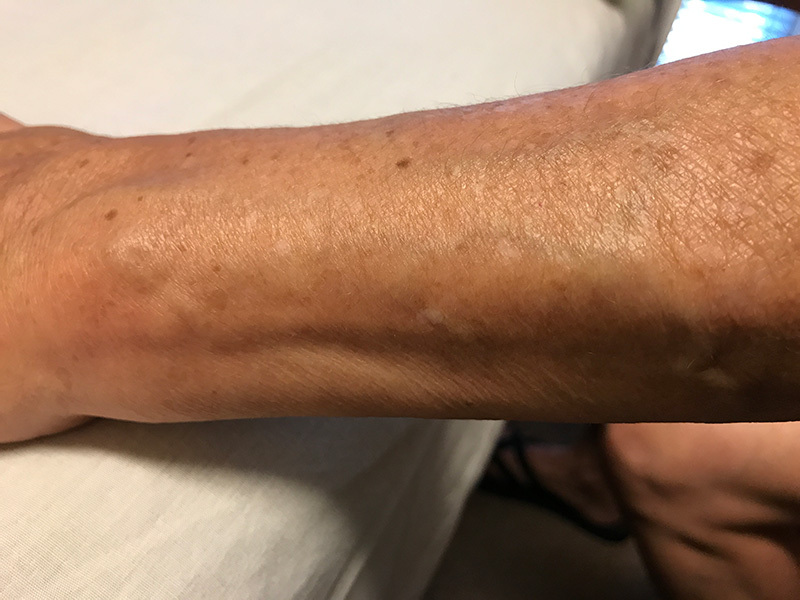 At the end of my treatments, my wife (a retired RN) noted that the area was much lighter in color and the scar line was thinner and smoother. An added bonus with Laser Healing Therapy! On the 4th of July in 2016, while climbing aboard a boat using a ladder the step broke and sliced the arch of my foot very deeply. 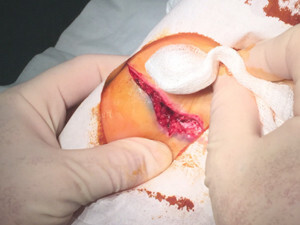 I was taken to the hospital, where the surgeon who stitched me up said a wound down as deep as mine would take up to 3 months to properly heal. However, thanks to the use of Laser Healing Therapy’s lasers I was able to safely walk without crutches in less than four weeks! 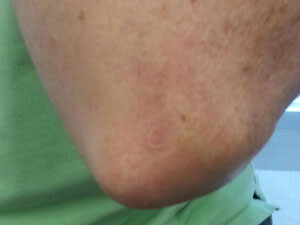 This is my elbow after a brown recluse spider bite. 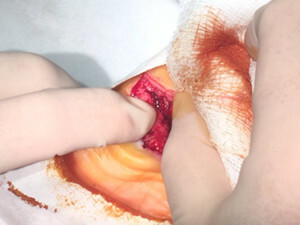 After being treated with the laser for two weeks the bite was gone. Picture is worth a thousand words!